The Catholic Mission 2019 “Trek to Reach Out” began on 31 January, and raised more than $22,000. Photo: Catholic Mission. 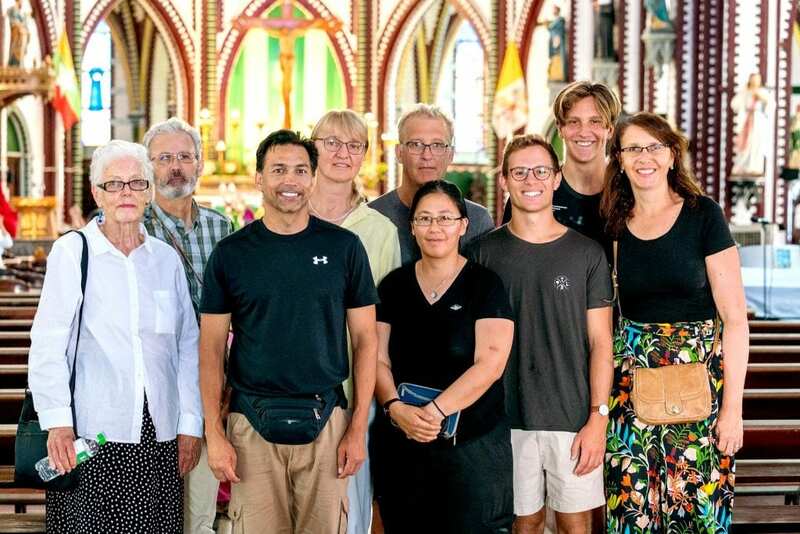 After almost a year of training and fundraising, eight people representing Catholic Mission concluded their trekking adventure with Mass at Yangon’s St Mary Cathedral last month. The hikers began their 2019 “Trek to Reach Out” on 31 January covering 60km of stunning landscape from Mandalay to Yangon. The journey began in Myanmar’s second largest city and passed through enchanting villages to end at St Mary’s Cathedral with the celebration of Mass. The group managed to raise more than $22,000. 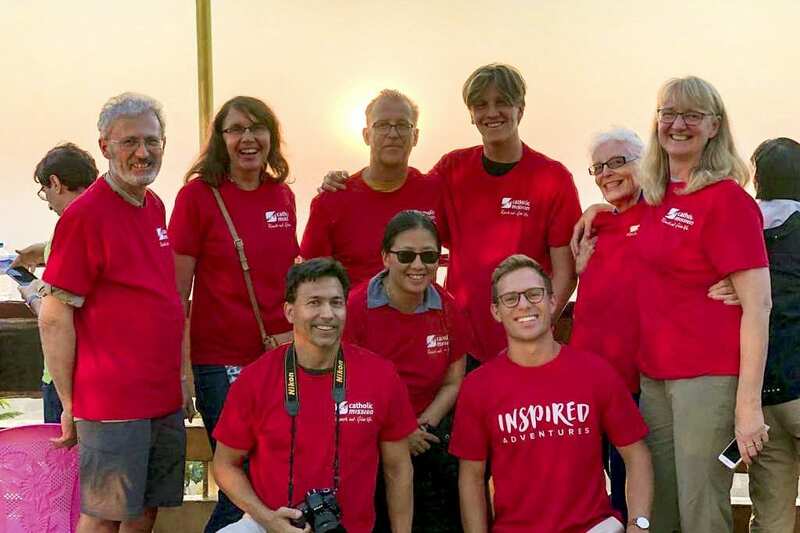 The adventure had the objectives of both raising money and allowing the participants to experience first-­hand Catholic Mission’s life changing work. “One of the things I’ve learnt is the benefits of the infrastructure of the Church in leading development initiatives that were in the past focused only on individual projects,” said Melbourne participant Barry Howard. Catholic Mission completed its 2019 “Trek to Reach Out” on 31 January, covering 60km of stunning landscape from Mandalay to Yangon. Photo: Catholic Mission. 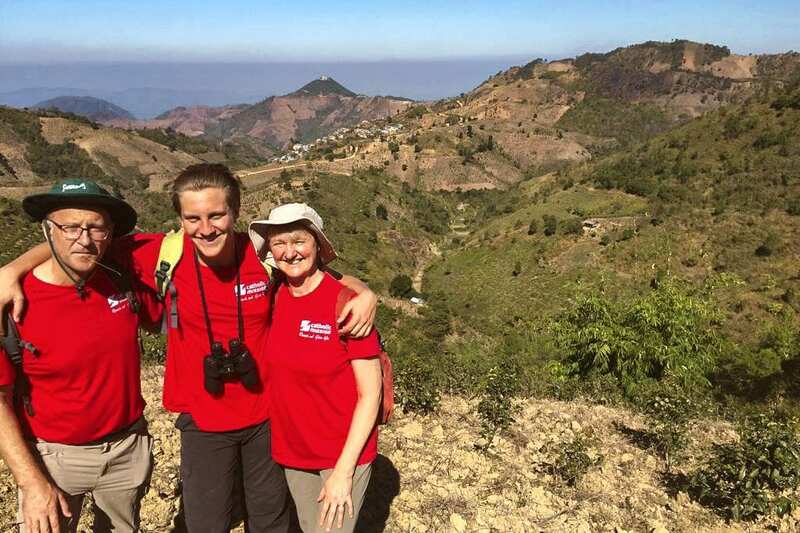 Catholic Mission (CM) representative member Sonja Krivacic said although it was a tough few days, at times trekking up to eight hours straight, the reward was being able to visit first-hand the projects CM supports in Myanmar. “Sitting beside this deeply committed community was a privilege added to the enriching experience,” Ms Krivacic stated. Ms Krivacic added that there will be another opportunity to participate in the next trekking experience. The 2020 “Ride and Stride” in Cambodia is scheduled for 10 to 21 January. “This experience will combine a rousing ride and transformative trek to deliver a completely new experience,” she concluded. CM National Director Father Brian Lucas encouraged participation from all, adding that participants will not only be enriched on a spiritual level and learn about the work of CM. “This experience will also give you the opportunity to see the hidden beauty of a country that otherwise you would rarely have the chance to discover,” Fr Lucas explained. Hikers for the 2018 “Trek to Reach Out” pose for a photo. The next trekking adventure organised by Catholic Mission will begin from Siem Reap and end in Phnom Penh from 10 to 21 January 2020. Photo: Catholic Mission. CM Fundraising Manager Silje Lea said: “This is a great chance for contributors to get involved to see the work that they support put into action and have a better perspective on how they are making a difference in people’s lives”. The journey will begin from Siem Reap and end in Phnom Penh. This will be an opportunity to be immersed in all the riches that Khmer culture has to offer. With 23 kilometres of trekking and 50 kilometres of cycling, the Ride and Stride will offer a moderate physical challenge with incredible sightseeing opportunities.